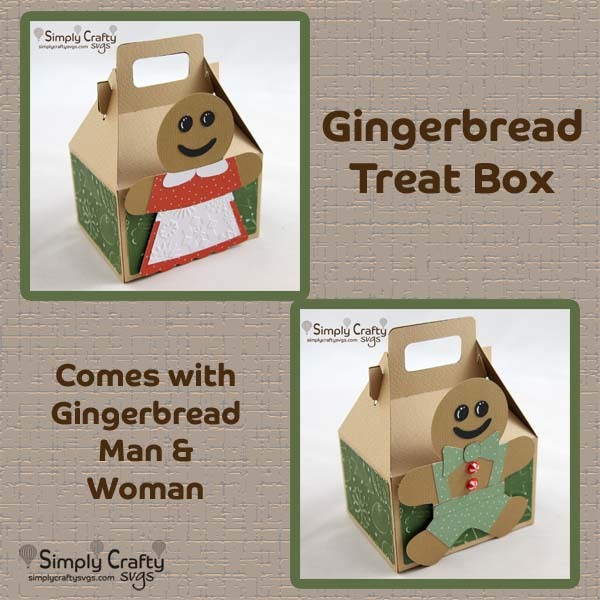 Small gift box with gingerbread man or woman. Make this quick gingerbread theme gift box with the Gingerbread Treat Box SVG File. Use the box to gift some homemade Christmas goodies or to hold a small gift. Finished size of box is @ 4.1” wide, 3.3” deep and 5.5 “ tall to handle. Box without panels requires (2) 8.5″ x 11″ cardstock sheets or larger. Smaller paper can be used for panels. Opposite side of box has a cutout display window.